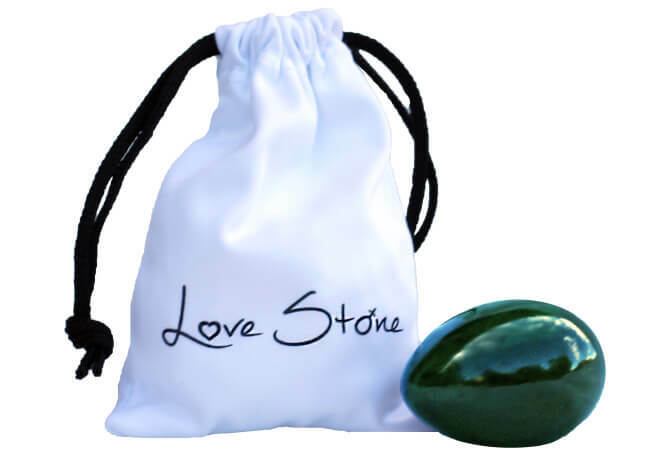 Love Stone was created by a woman named Anja who lives in Boulder, Colorado and was interested in getting in touch with her feminine side. 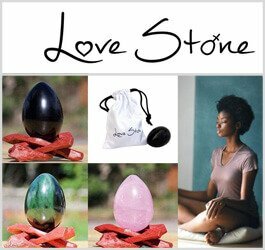 “These beautiful crystals are shortcuts to realizing – All you need is already within you,” she writes on the Love Stone website. 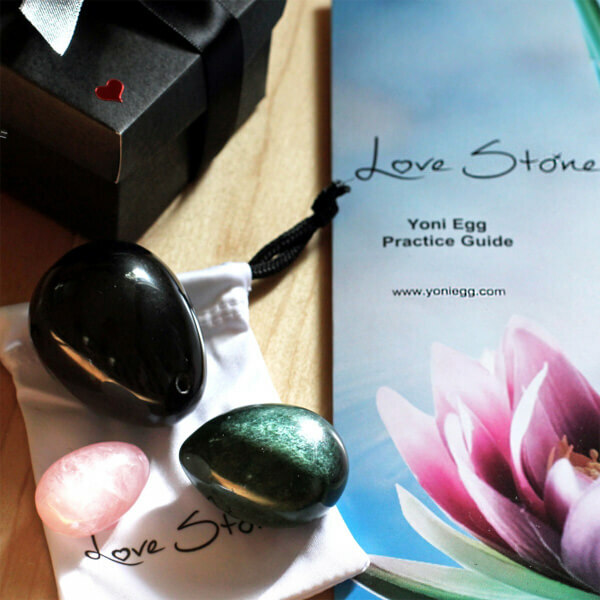 Love Stone Yoni Eggs are GIA certified to prove the stone’s authenticity. 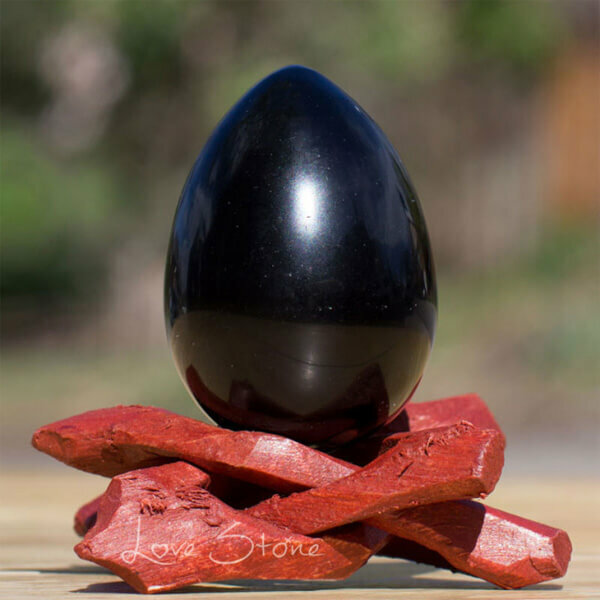 This yoni egg is perfect for daily use and practice and is an excellent material for yoni egg newbies. 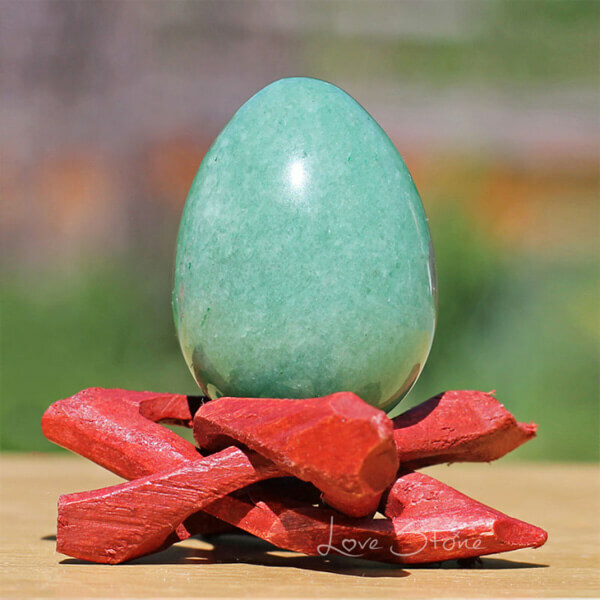 Nephrite jade is still held as a sacred stone in China. It brings purity and blessings to the wearer. 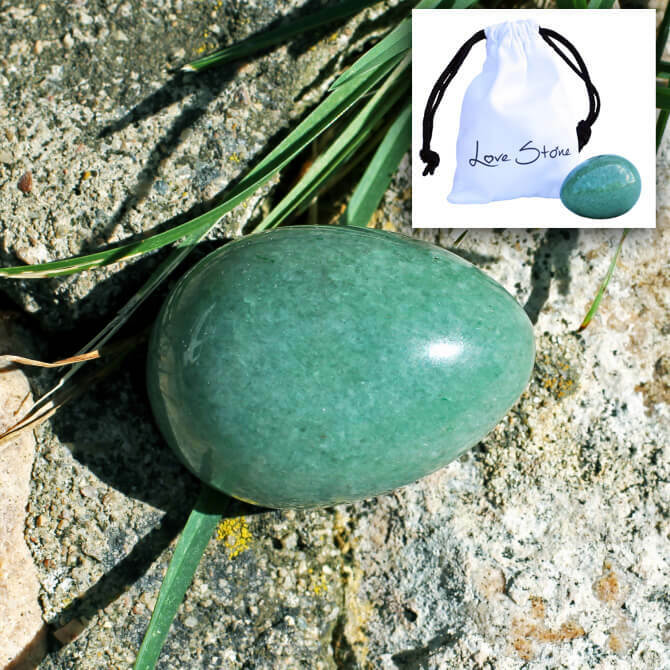 The Nephrite Jade Queen Yoni Egg comes with a signature carrying pouch and instructional booklet. It is GIA certified as all natural Jade. 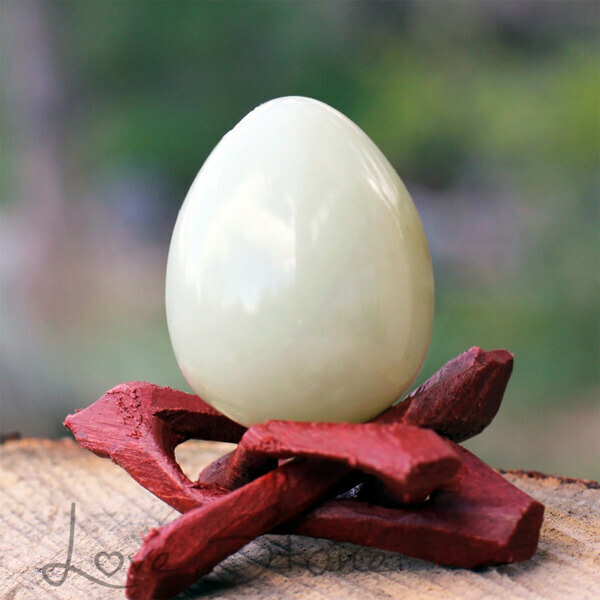 This pretty yoni egg attracts love of all kinds, especially for the self if the wearer needs to learn to treat themselves more kindly. 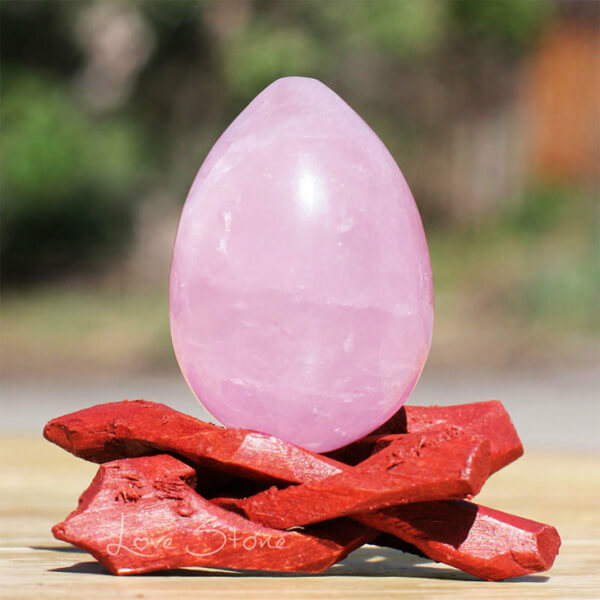 Made of the highest grade all natural rose quartz, this delicately colored pink crystal brings feelings of calm, too. 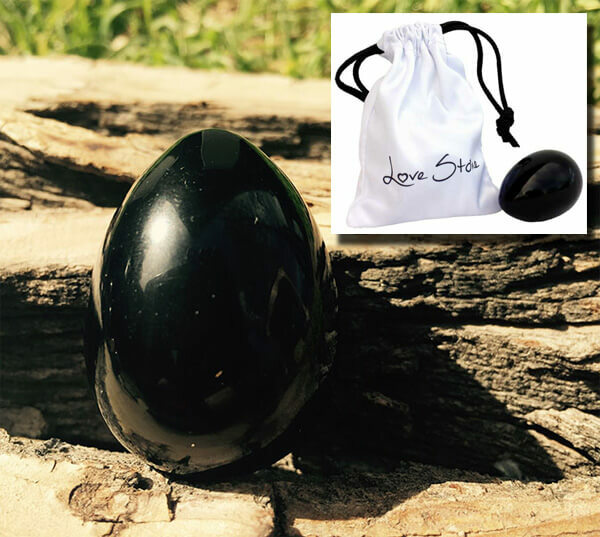 The black obsidian yoni egg is made from volcanic glass and imparts a feeling of groundedness and strength. It’s also known as the Stone of Truth and can bring hidden thoughts to the surface. 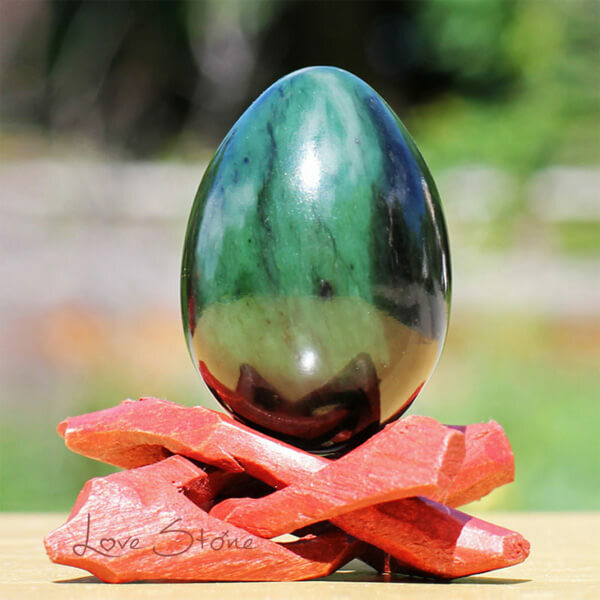 This yoni egg has all the properties of Chinese jade but holds a beautiful blue-green color. This egg is hand-crafted by a master carver in Russia. 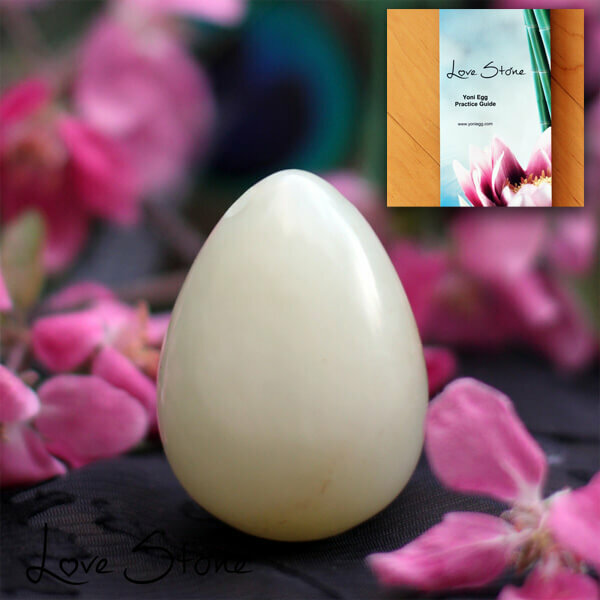 This exquisite white jade yoni egg is a must-have for collectors of semi-precious stones. 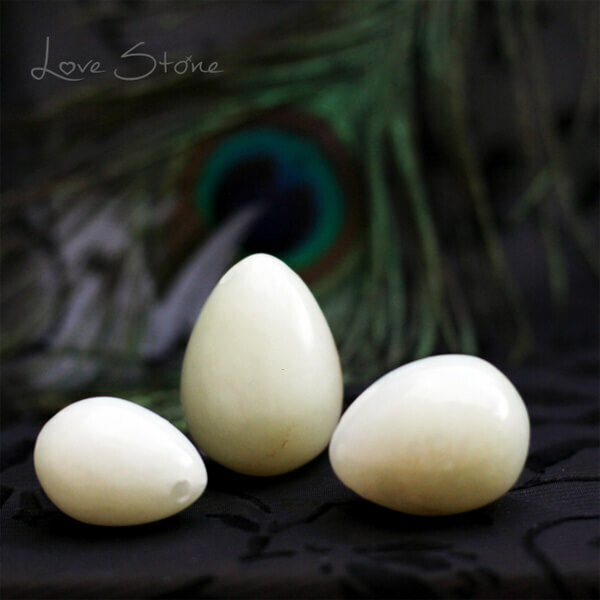 This Siberian white jade is hand crafted in Russia and connects you with higher energies. 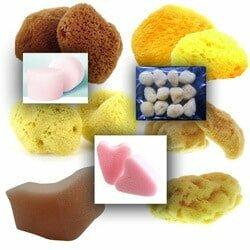 This durable material can last a lifetime if cared for properly. 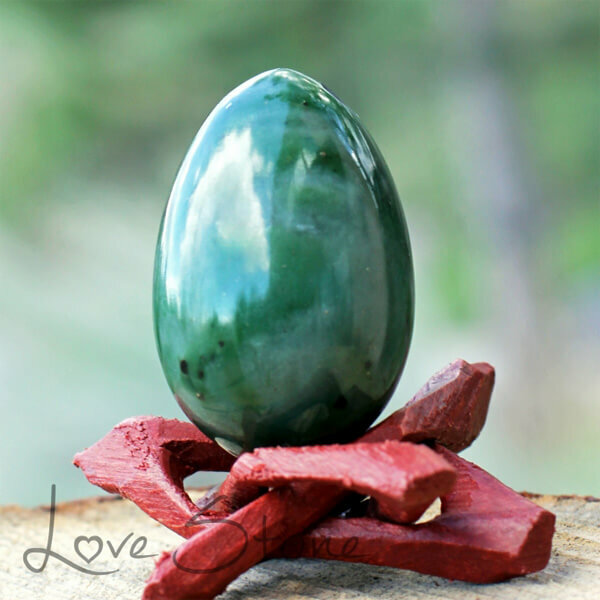 This yoni egg is made from the luckiest material: green aventurine. 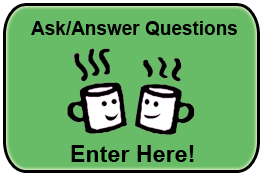 It also balances male-female energy, bringing harmony to interpersonal relationships. This is the gemstone of choice for women looking to conceive. This company has superb ratings. 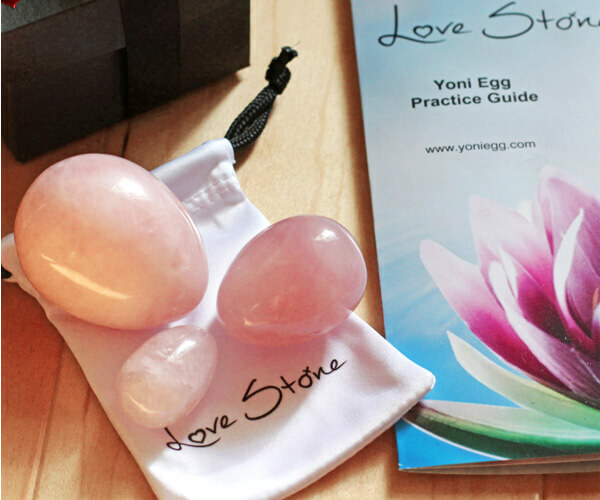 Customers are happy with the quality of the gemstones used to make the yoni eggs, the quality of the packaging and the fast delivery. Utterly dismayed that although I asked for plain packaging, it came prominently labelled. Absolutely mortified. 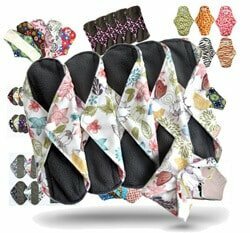 Do not buy from this seller if discretion is important. + PROS: Arrived promptly as ordered. - CONS: Total lack of discretion. 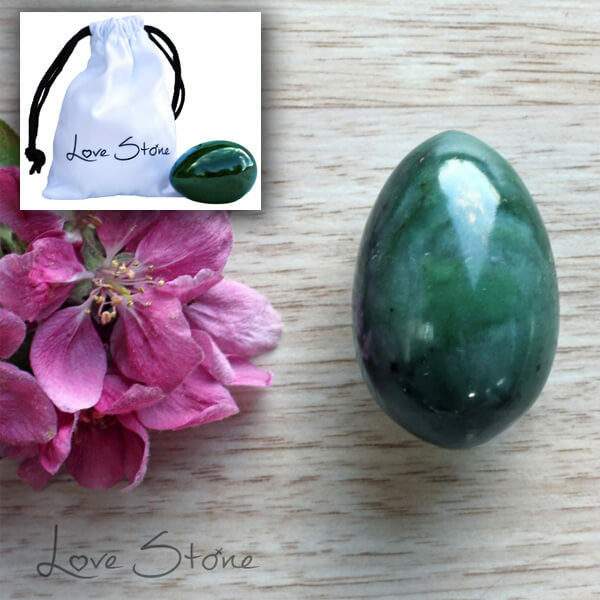 They have the best quality jade eggs, I recommend all my girlfriends and clients to buy them here. I purchased a black obsidian and a rose quartz from Love Stone. 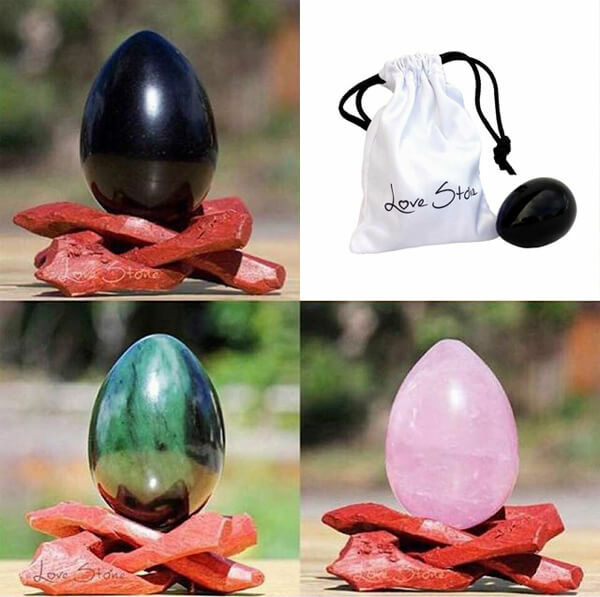 Both stones were shipped in a beauty gift box and came with additional literature regarding using the eggs. My order was shipped and received rarely quick. Excellent service! !